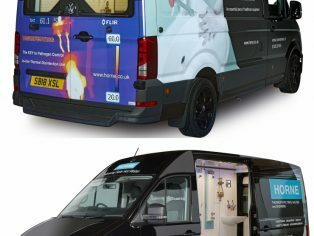 Horne Engineering Ltd, designers and manufacturers of specialist thermostatic mixing valves, showers and taps for healthcare, secure, sport & leisure, education and accommodation markets, are delighted to unveil a brand new Show Van, which aims to showcase their clever and versatile product range to end-user clients, Architects, Consulting Engineers, and FM providers. Glasgow-based specialist camper-van conversions firm, Caledonian Campers, have created an outstanding bespoke conversion, paying the very closest attention to every detail of the fit-out and product installations – from the flooring, to the wall and ceiling panelling, to the lighting and the central heating system! Long wheel-based and high-roofed, the van has standing head-room and is fitted out with a very comprehensive sample of the current product range of showers, medical tap, mixing valves and the patented ILTDU, In-line Thermal Disinfection Unit. The on-board computer also allows for slide shows of installations and media presentations to further illustrate a point or concept. Centrally heated, and with hot and cold liquid refreshments available, the Horne Show Van will tour year-round and operate, initially, across Scotland. 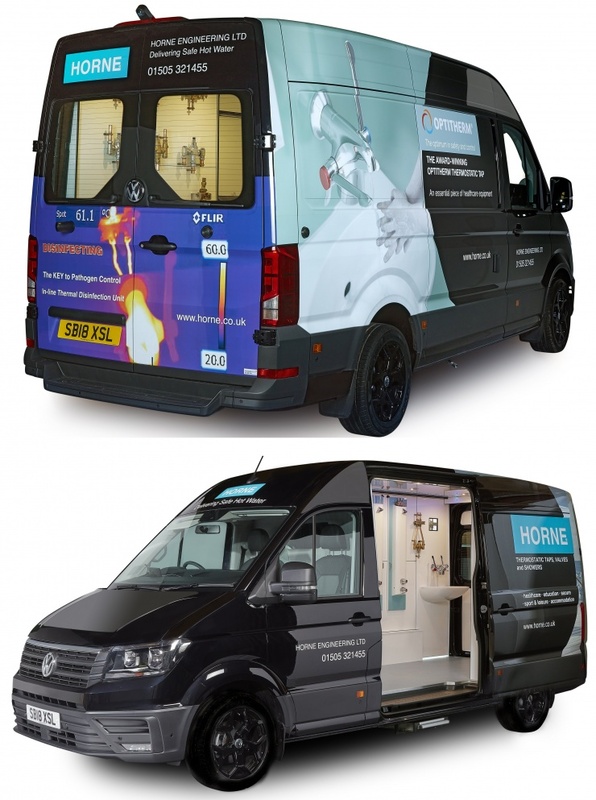 Horne’s original show van is also available on a shared basis across England and Wales.